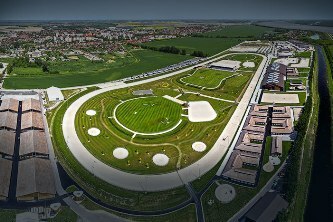 The 26th European Youth Bridge Team Championships will be staged at the X-Bionic Sphere, Samorin - Slovakia from 8th to 15th of July 2017. The Championships consist of four series: U26 Open, U26 Women, U21 and U16. Each of the four series will be played as a complete Round-Robin with all teams playing each other. The systems in all the Series must be sent by email to the EBL Systems Administrator, Anna Gudge at anna@ecats.co.uk by 21st June 2017. All entries must be made electronically via this website (not by email), before 5 June 2017 (team registration) and 15 June 2017 (team roster).